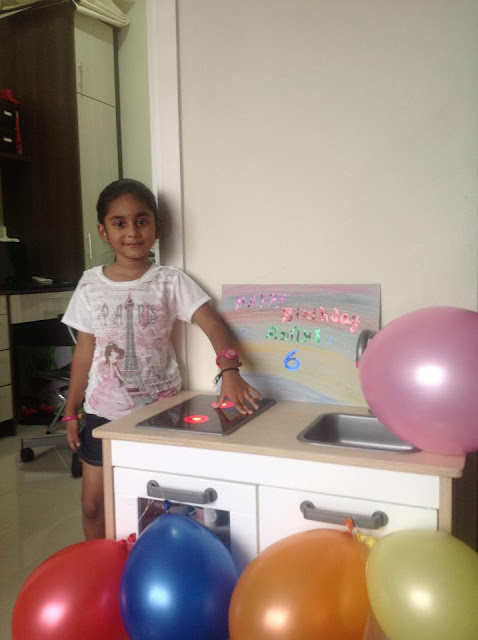 Adithi has turned 6 since yesterday... my little girl is growing up fast. This birthday celebration was different from the earlier birthdays, with family and friends back in India, this was more of a private affair and am not sure if Adithi enjoyed it as much as she did back home. 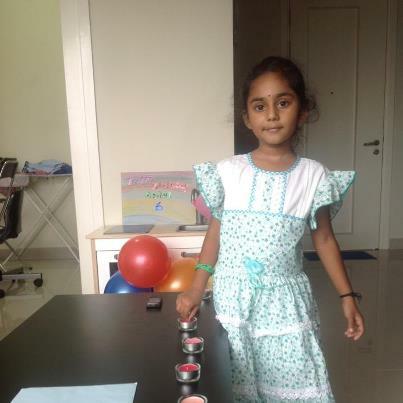 She is feeling low these days and we tried cheering her up, by setting up play kitchen, on seeing that she was happy for a while and again went into a shell and kept snobbing about school, how i wish to see my Happy Adithi back... who smiles cheerfully like the one below taken back home!